The J. Max Bond Center on Design for the Just City has appointed Quilian Riano as its first J. Max Bond Senior Fellow for the fall 2015 semester. Riano will work with JMBC leadership in the development of JMBC’s Design for the Just City Initiative. Riano is a designer, researcher, writer, and educator working out of Brooklyn, New York. He teaches theory-based Design and Urban Ecologies studios at Parsons, The New School for Design in the undergraduate and graduate programs of the School of Design Strategies, and has also taught at Pratt Institute’s Programs for Sustainable Planning and Development. Quilian founded DSGN AGNC, a collaborative design-research studio exploring political engagement through architecture, urbanism, art, and activism. 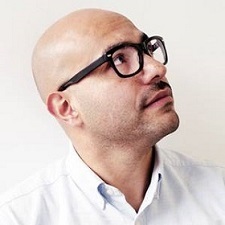 He is also the Director of Strategy and Research at NYDesigns, a design residency, fabrication, and urban research program of the City University of New York (CUNY). He attended University of Florida for a Bachelor of Design in Architecture and Harvard University’s Graduate School of Design for a Master of Architecture. The fellowship is awarded to a professional with 5 to 10 years of practice and/or academic experience in the fields of architecture, urban design, landscape architecture, sustainability, urban studies, and/or urban planning. The fellow is selected based on his/or her professional track record for successfully addressing social and spatial justice issues as an integral part of their design practice, research or academic pedagogy.